Pensacola, Fla. - New York Yacht Club American Magic, U.S. Challenger for the 36th America’s Cup, today announced that the Port of Pensacola will serve as the team’s winter training base in late 2018 and early 2019. The team was formed in 2017 to win the America’s Cup, the highest prize in sailing and the oldest trophy in international sports. The Port of Pensacola is one of America’s oldest seaports, tracing its history to 1743 when the first shipment of commercial cargo exported out of the port was recorded. Fittingly, that cargo consisted of wood masts and spars for sailing vessels. Today, the port is one of three business enterprises owned and operated by the City of Pensacola (the other two being Pensacola International Airport and the local natural gas utility, Pensacola Energy). As a non-operating, landlord port, the Port of Pensacola owns and maintains the port facilities with all cargo, shipping and maritime activities being undertaken by private sector business partners. The port provides hundreds of jobs and is responsible for tens of millions of dollars in annual economic activity throughout the northwest Florida region. 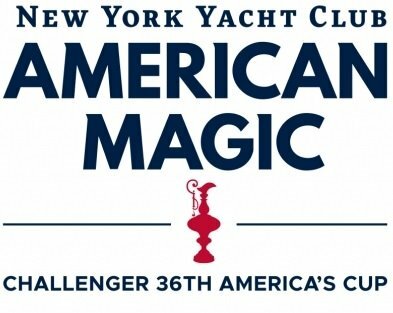 Formed in October 2017 by Bella Mente Racing, Quantum Racing and the New York Yacht Club, NYYC American Magic brings together two highly successful racing programs with one of the foremost yacht clubs in the world, all with the shared vision of launching a campaign for the 36th America's Cup competition, reconnecting the American sailing base with sailing's premier event and elevating the quality of competitive sailing in the United States. The syndicate intends to develop and support a team that will participate in the America's Cup competition and the Challenger Selection Series competitions that lead up to it. American Magic’s Official Innovation Partner is Airbus. The Official Apparel Sponsor of American Magic is Helly Hansen. American Magic is a recognized 501(c)(3) nonprofit organization. www.americanmagic.com.